Move-in day for freshmen at Tufts University was this past weekend and upperclassmen arrive this week. I remember how excited I was moving into Tufts. I went on to earn a double major in economics and political science, and then went on for a master’s degree in economics and international relations at Boston College. But I felt like I had a third major — debt — since I incurred a high five-figures of debt along the way. Boston is the Athens of the modern world, attracting nearly 400,000 students from around the globe to its 100+ institutions. And most students are taking on substantial debt for the privilege. One year at my alma mater Tufts costs nearly $70,000 out-of-pocket. Other schools like Brandeis, Northeastern, Suffolk, and Lesley pack a similar punch. No wonder, a solid majority of college students nationwide graduate with a diploma in one hand and a student loan bill in the other. In fact, 2016 graduates owed a record-breaking $37,712 according to one estimate. Overall, 41 million Americans currently owe $1.3 trillion in student loan debt – the second biggest debt source, after mortgage debt. Low and moderate-income students of color (like myself) face even greater debt as they are twice as likely to borrow for college as their white counterparts. Carrying student loan debt is not a travesty or even a mistake — investing in an education tends to pay off in higher income in the future — but these large debts are discouraging many Millennials from achieving important goals, such as moving out on their own, buying homes and getting married. The average monthly repayment is $533 for those who are currently making payments on one or more loans, which could easily be a car payment for a nice car or savings for a house down payment. To address the student loan problem, policymakers need to get to the root of the problem: Why has college become so expensive? Why have higher education costs been rising so fast – faster than the cost of food, gas, and inflation? The central problem is that Washington has handed colleges a blank check and those colleges have been using it. Student lending grew from $53 billion to $120 billion between 2001 and 2012 with about 90 percent coming from federal student aid programs. The New York Federal Reserve found that for every new dollar a college receives in federal aid for Direct Subsidized Loans or Pell Grants, a school raises its price by 65 and 55 cents, respectively, and decreased institutional grants by about 20 cents. It other words, it’s colleges — not students — that reap the benefits of Washington’s extra funding. Many of the most commonly discussed proposals for helping students wouldn’t change this dynamic or encourage colleges to use their resources wisely. Rather they would make it even easier for colleges to keep jacking up prices. Former Secretary of State Hillary Clinton and Vermont Senator Bernie Sander both proposed making colleges “free” for students (in Mrs. Clinton, just for select in-state public schools) would move the burden of college costs from students to taxpayers more broadly. Young people might applaud this proposal, but they won’t be cheering when they go to work and have to pay more in taxes. In addition to make schools less responsible with their resources, free college would encourage students to take their own education’s less seriously adding to the waste. 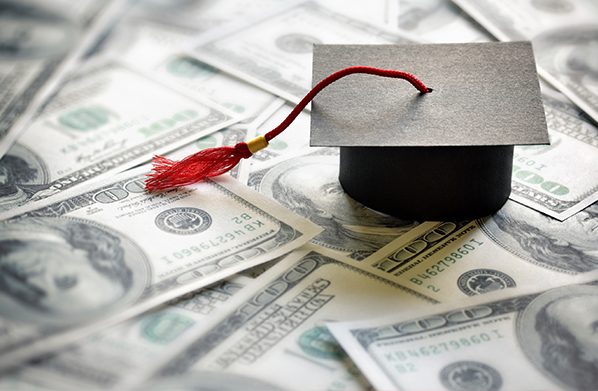 Some policymakers have suggested simply forgiving student loan debt. Yet it’s irresponsible and unfair to have students walk away from their contractual obligations and hand taxpayers the tab. This would punish those students who have taken price into account throughout their education and prioritized paying back their loans once they started working. Common sense solutions to the problem of high college costs exist. First, the public should encourage students to think critically about what they plan to do with their majors and degrees before accepting federal aid. What are the opportunities for those with your major? How can you get the education you need at the best cost? This requires legwork and research, but that is part of owning your career success. Colleges should draw clearer distinctions for students about how much of the “aid” they are offering is in grants versus loans. Overall, colleges should make cost-control a priority, but that’s unlikely until they face the pressure of less guaranteed federal funding. Nothing lowers prices and encourages innovation like competition. Washington should do more to spark competition by pushing for alternatives to higher education and reforming the college accreditation system. The federal government has a monopoly on higher education and it is stifling innovative approaches to education in favor of traditional institutions. Allowing states to set up their own accrediting standards opens the door for new approaches such as online programs like Coursera, Udacity, and Harvard-MIT project edX and apprenticeships programs to be accredited at a local level. Online courses allow students to take classes from virtually anywhere at a fraction of the cost. Apprenticeship programs allow students to get the “real world” experience and skills employers are looking for. These options should all be encouraged through policy reform. Opportunity shouldn’t be limited to those who get a four year degree. And student loans shouldn’t become a millstone around the necks of young people once they graduate. Let’s have policies that challenge the status quo and the political will to put students’ future ahead of established interests.